Yesterday, under President Trump's direction, the US Federal Government released thousands of previously classified documents pertaining to the investigation into the assassination of President John F. Kennedy. Some of the documents which were to be released are being held back pending further review and will possibly be made available to the public in April 2018. This last-minute change came in response to requests made by the FBI, CIA, and other intelligence agencies. Although the majority of Americans weren't yet born or old enough to remember President Kennedy's assassination, those who watched the news that day have the events forever etched in their memory. 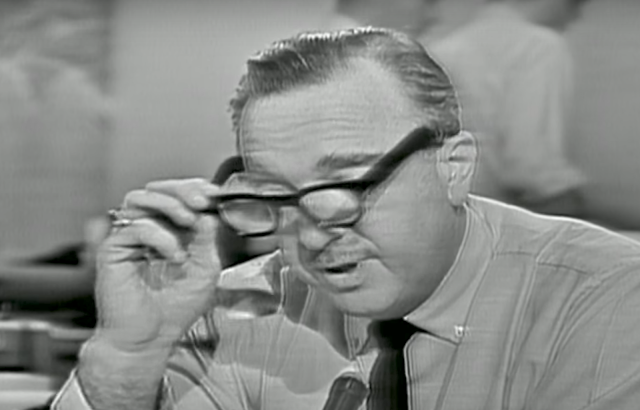 Walter Cronkite was an American broadcast journalist and anchorman at CBS Evening News from 1962 - 1981. 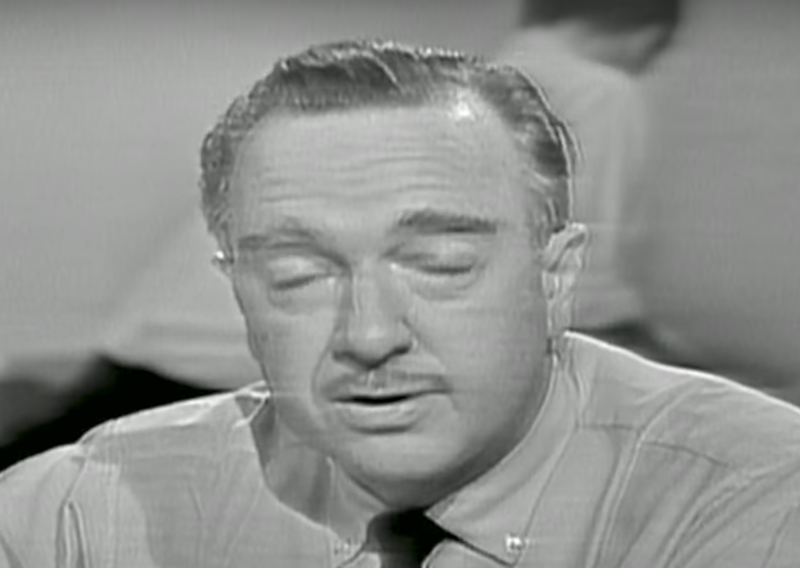 What follows is a partial nonverbal analysis of Walter Cronkite's live broadcast reaction on 22 November 1963 to President Kennedy's death. During 1:11 in the above video, as he is handed the news of Kennedy's death, Mr. Cronkite scratches his mustache area. 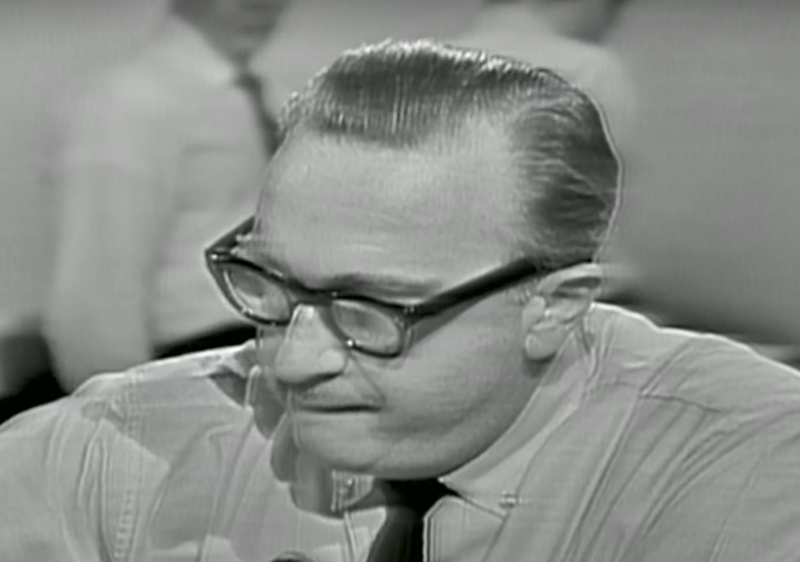 Facial touching is a universal signal of anxiety, and more specifically, this signals Cronkite's disbelief. While his logical brain knows what's occurred, his emotional brain has yet to fully process the events of the day. 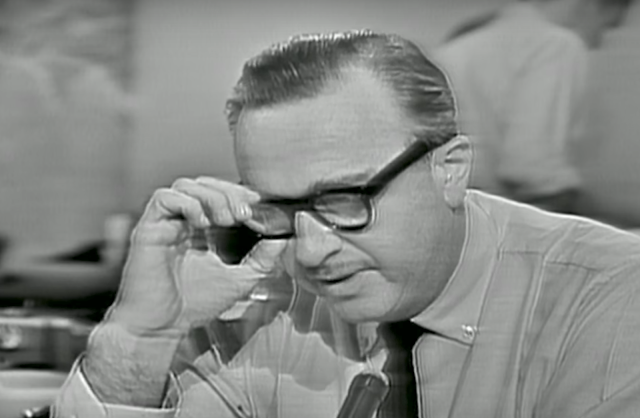 After putting his glasses on only eight seconds before, Walter Cronkite removes them again (1:19). 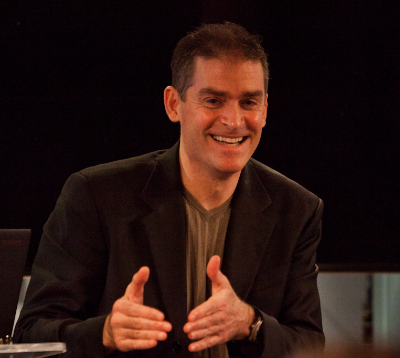 This action is a subconscious stalling maneuver, giving the psyche additional time to process the emotional news. The glasses also act as an extension of the body, and thus touching them serves as a MAP surrogate (Manipulator, Adaptor, Pacifier) and a tactile outlet for his anxiety. 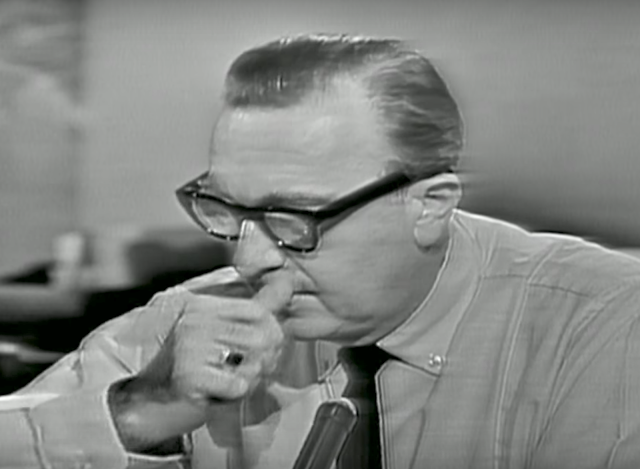 As Cronkite begins to put his glasses back on (1:26) his jaw thrusts forward (an adrenaline surge) as the corners of his mouth vector laterally with a tightening of his mouth/lips in a classic expression of bitterness and regret. Here we see Walter display a "Tight Tongue Jut" in a display of strong Disdain and Disgust (1:27). This is a signal of his mind emotionally rejecting the event. His jaw then tightens dramatically during another adrenaline surge in an effort to suppress his tears (1:29). 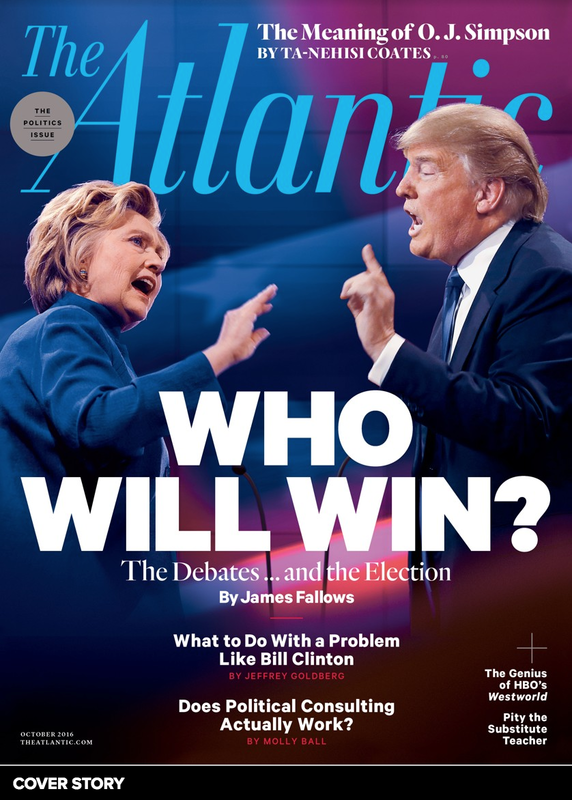 A Tongue-In-Cheek is a common nonverbal maneuver to dampen tears and/or prevent an expression of sadness and crying (1:31). 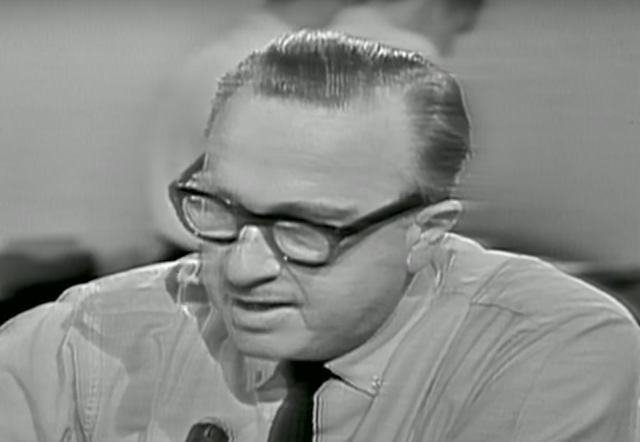 His voice cracks as he says, "... Vice President Johnson ...", and Cronkite then clears his throat (1:33). 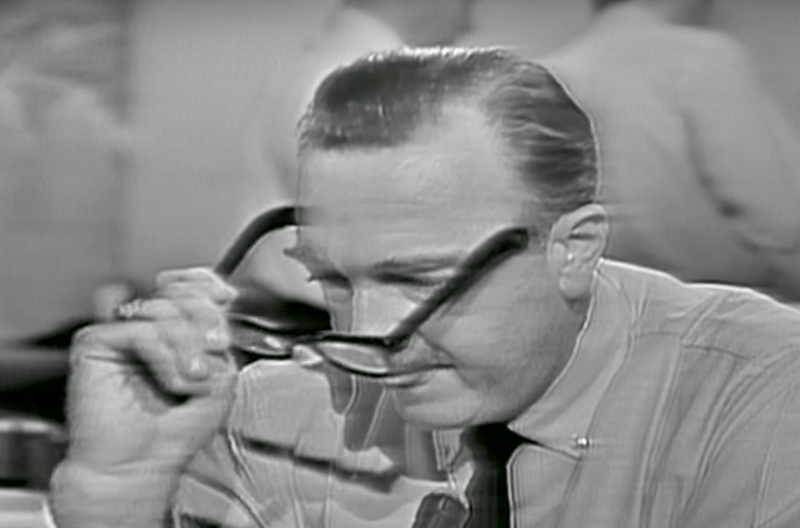 Walter Cronkite then adjusts his glasses before removing them once again (1:36) - an additional attempt at down-regulating his anxiety. 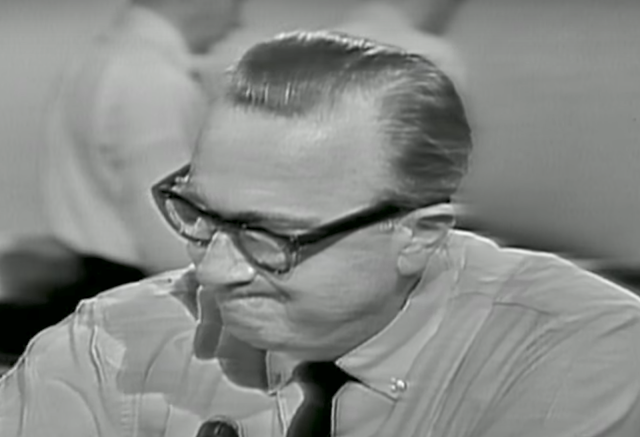 As he says, "... thirty-sixth President ...", Mr. Cronkite blinks rapidly in a common display of anxiety (1:46). Summary: Even with skilled professionals, suppressing strong emotions is almost impossible - and then only for very short durations. Signals always "leak" through. 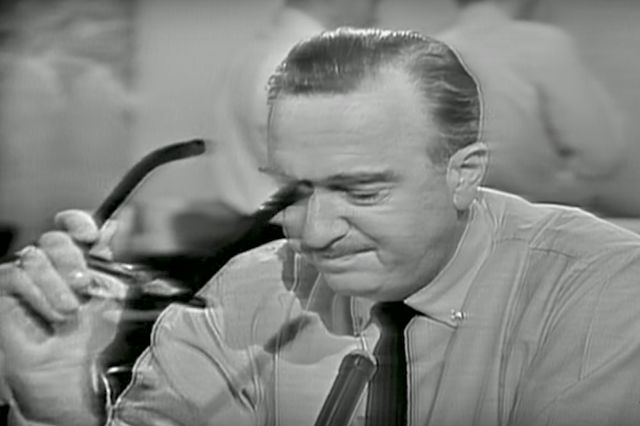 In this situation with Walter Cronkite, with our 20/20 "retrospectroscopes", it's easy for most people to see his nonverbal, verbal, and paralanguage signals. In our everyday worlds', these are just as detectable - if you know the tells.